Golf fans are in for a treat as some of the most exciting prospects in Australian golf headline the 2013 Coca Cola Queensland PGA Championship at the scenic City Golf Club in Toowoomba. Australian PGA champion Daniel Popovic will be a popular drawcard after his polished performance netted him the Joe Kirkwood Cup at Coolum last December. 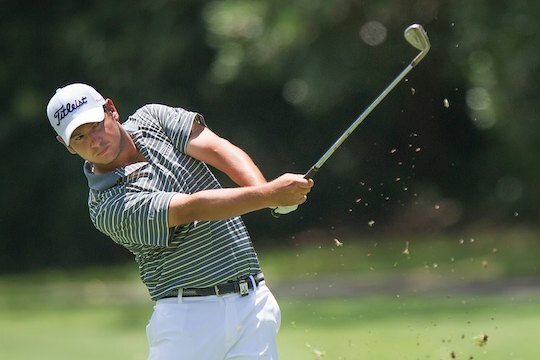 Joining him in the field in the Garden City will be another likely crowd favourite, teenage NZ Open Champion Jake Higginbottom and Queenslander Brad Kennedy. Kennedy is the highest ranked player in the field in the Official World Golf Rankings after enjoying a breakthrough season on the Japan Tour in 2012, including victory in the Gateway to the Open Mizuno Open. Queensland’s newly crowned Australian Amateur champion, Cameron Smith, would like nothing more than to keep his hot form going at Toowoomba and a victory in front of home state fans would be sweet. Recent Heritage Classic winner David Brandson will also be among the favourites along with last year’s champion, Andrew Tschudin, One Asia winner Nick Cullen, Kim Felton and 2011 champion, Gareth Paddison. The Qld PGA Championship forms part of the Australasian PGA Tour and will be played from February 14 – 17.